You will probably want to try ramen or tsukemen at least once on your trip to Japan. Use these convenient phrases at restaurants to order your noodle dish just the way you would like to eat it! Ramen is one of the most popular comfort foods to try when traveling in Japan. Tsukemen, a ramen dish where the noodles and the soup are served separately, is also gaining in popularity in recent years. In this article, we’ll introduce you to some convenient phrases you can use at ramen restaurants. Practice these phrases to enjoy delicious ramen or tsukemen to the fullest. *For help with the pronunciation in the brackets, read Japanese Pronunciation and Polite Speech. The first thing you need to do when entering the restaurant is to place your order. This can be done by either buying a ticket from the vending machine or consulting the menu at your seat and telling your order to the staff. The vending machine is generally by the entrance. If you can’t find it, you can ask the staff. Please remember that different restaurants have different ways to order. When you go to a restaurant for the first time, you might be wondering what ramen might be the best. Use this phrase to ask the staff for a recommendation. 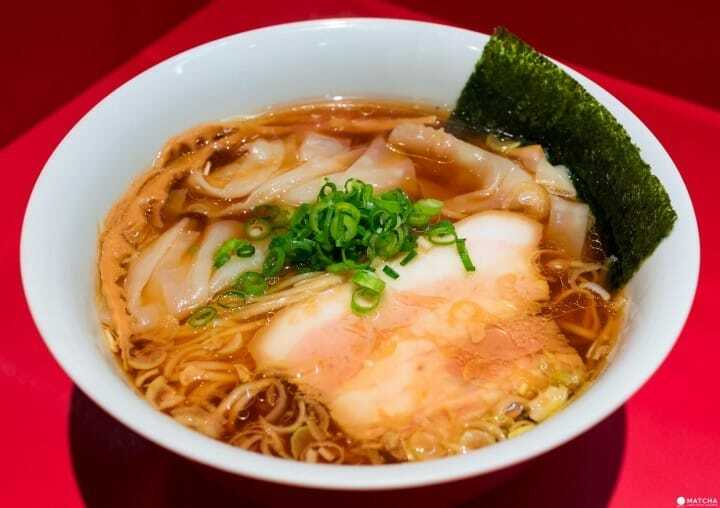 Ramen has various flavors such as soy sauce, salt and pork bone broth. If you are not sure about the flavor, you can use this phrase to ask. Depending on the ramen restaurant, you may be asked how firm you want your noodles to be. Answer according to your preference. Just like the noodles, depending on the restaurant, you may be asked about how concentrated you want your ramen broth to be. Fill in the 〇〇 with the toppings you’d like to add to your order. Many ramen restaurants offer extra toppings for an additional charge. Here are some of the most common toppings. Chasshu [cha:shu:] are barbecued glazed pork slices. Menma [menma] are steamed bamboo shoots, pickled in salt and fermented. Nori [nori] are sheets of dried seaweed. Negi [negi] are chopped green onions, a condiment characteristic for scent and spice. Ajitama [ajitama] are seasoned hard boiled eggs. Use this phrase when you want a larger or smaller serving of noodles. Use this phrase when you order tsukemen. After tsukemen noodles are cooked, they are often rinsed with cold water to firm them up, and then served cold. If you want to eat the noodles hot, use this phrase. The staff will run the firm noodles through hot water to warm them up. Some ramen restaurants offer kaedama, which lets you order extra noodles after you’ve finished your first serving. Kaedama can be free or cost an additional fee, depending on the restaurant. Please ask the staff. Use this phrase after you’ve ordered tsukemen. Tsukemen broth is very concentrated to better adhere to the noodles when you eat them. After you’ve finished the noodles, soup wari (diluting the broth) will let you enjoy the remaining broth as soup. Depending on the restaurant, the soup wari liquid may be in a kettle, or you may have to ask an employee to do it for you. Ask the staff if you are not sure. Can you remember what each phrase means? Did you remember everything? When you visit Japan, order ramen or tsukemen just the way you like it with these useful phrases! Ramen, Tsukemen and Soba Noodles - What Is The Difference? 【KAMAKURA】With Exquisite Fresh Kamakura Vegetables! "Ramen Ichikanjin"